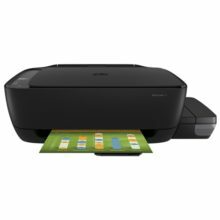 Multi-function Wi-Fi printer with integrated ink tanks for fast and cost-effective colour PC-less printing, scanning and copying, including two years of ink. 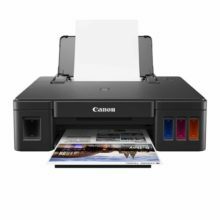 The L455 is ideal for home and home office users looking for fast, good-quality, ultra-low-cost printing, scanning and copying without the need for a PC. Featuring high-capacity ink tanks, users can print A4 colour documents, including graphics and presentations at a lower cost. Setting up the device is simple, improving productivity and avoiding downtime. Our printhead technology consistently produces high-quality, reliable results. 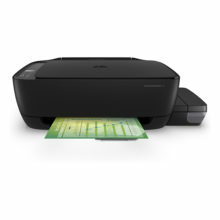 The L455 comes with four colour Epson ink bottles (cyan, yellow, magenta, black) and two extra black ink bottles included so you have everything you need to get started right out of the box, enabling users can print up to 12,000 pages in black and 6,500 pages in colour from the initial set of inks. Set-up is easy and hassle-free so you can start working straight away. 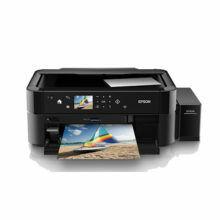 A 3.7cm colour-LCD screen and card slot allow for easy and convenient printing, copying an scanning without a PC. 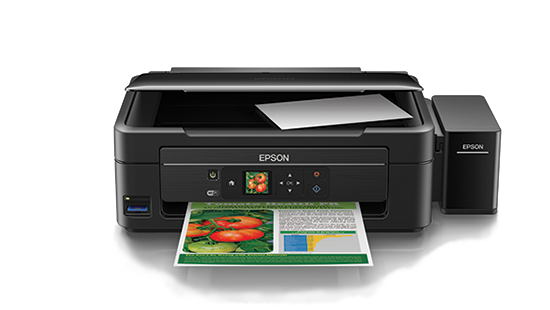 Wi-Fi connectivity with Epson Connect makes printing from smartphones and tablets easy. Documents and photos can also be printed directly from mobile devices thanks to compatibility with Apple AirPrint and Google Cloud Print. Multi-copy means one page can be quickly copied up to 99 times in a single go to save you time. A 1,200dpi scanner means you can produce high-quality scans of your photos and documents. 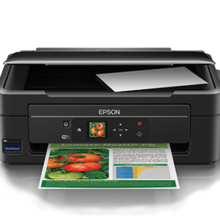 The purpose-built ink tank is fully integrated into the printer and Epson-genuine ink bottles make it easy to refill the ink tank with their clear labelling and drip-free nozzles, so you can enjoy reliable colour printing without the mess. The L455 also comes with a one year or 30,000 page manufacturers warranty for additional piece of mind. 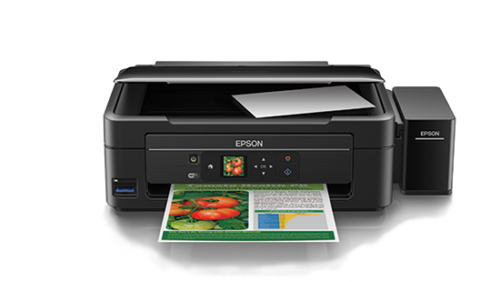 Epson’s Micro Piezo technology and ISO print speeds of up to 9.2ppm helps produce high-quality, consistent results fast.